Kurdish Christians praying for deliverance from the attacks by al Qaeada and Turkey. Please with them and keep them in your prayers. Kurdish Christians Praying for Deliverance from The Stream on Vimeo. On July 4th, the day after the Egyptian military liberated its nation from Muslim Brotherhood rule, Christian Copts were immediately scapegoated and targeted. All Islamist leaders—from Brotherhood supreme leader Muhammad Badi, to Egyptian-born al-Qaeda leader Ayman Zawahiri, to top Sunni cleric Sheikh Yusuf al-Qaradawi—made a point to single out Egypt’s Copts as especially instrumental in the ousting of former Islamist president Morsi, a claim that ushered in a month of slaughter against the nation’s Christian minority. Among other events in July, unprecedented numbers of Christian churches were attacked, plundered, desecrated, and torched. According to one Egyptian human rights lawyer, “82 churches, many of which were from the 5th century, were attacked by pro-Morsi supporters in just two days.” Al-Qaeda’s flag was raised above some churches; anti-Christian graffiti littered the sides of other churches and Coptic homes. Due to extreme anti-Christian sentiment, many churches ceased holding worship services until recently. Dozens of Coptic homes and businesses were also attacked, looted and torched. In the Sinai, a young Coptic priest was shot dead in front of his church, while the body of Magdy Lam’i Habib, a Copt, was found beheaded and mutilated. Four other Christians were slaughtered by Muslims in the province of Luxor. Entire towns and villages have been emptied of Copts, including the eviction of more than 100 Christian families from El Arish in the terror-infested Sinai. Coptic Pope Tawadros II left the papal residence at St. Mark Cathedral —which had been savagely attacked when Morsi was still president— for a time due to death threats, and temporarily discontinued holding services. 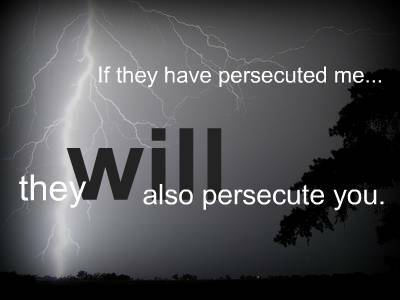 Guinea: During a mob-led frenzy, Christians and their churches were savagely attacked in the Muslim-majority nation; some 95 Christians were slain and 130 wounded. In Nzérékoré, five churches, as well as the homes of pastors, were attacked by Muslim mobs. One priest recounted the violence: “The two Catholic and Protestant churches have all been ransacked and burned… Almost all the houses and shops belonging to Christians or people affiliated with Christians, have not escaped the fury of the attackers.” Similarly, the Catholic area, including the quarters of the nuns, was looted before being torched. In Moribadou, the violence lasted three days and saw at least 10 churches destroyed. Indonesia: According to the Annual Report published by IndonesianChristian.org, a Protestant organization monitoring the nation’s Christian community, the pressures against Christian communities in Aceh “have become intolerable. Within a year, with non-existent legal pretexts, 17 house churches have been closed: these also include Catholic chapels. The Islamization of the province continues, just as promised by the governor Abdullah.” The forced closure of places of worship and threats against Protestant congregations, says the text, “increase unabated… The behavior of local authorities is a potential threat to the tolerant atmosphere we see deteriorating over time.” Behind this upsurge is the current governor of Aceh, Zaini Abdullah, who earlier spent years in exile in Sweden for his separatist activities. During his election campaign, the Islamic politician frequently said that “he would not hesitate to apply the Koranic laws in the province.” Months after his victory, those words have become reality. Nigeria: Members or supporters of the Islamist organization Boko Haram set off four bombs planted near three Protestant churches in Kano city, killing at least 45 people. Local Christians were meeting for Bible study at Christ Salvation Pentecostal Church when one explosion hit, and 39 bodies were recovered in the area; another bomb went off as Christians were meeting at St. Stephen’s Anglican Church; and an explosion apparently targeting Peniel Baptist Church failed to affect the building. Palestinian Authority Territories: Nuns of the Greek-Orthodox monastery in Bethany sent a letter to Palestinian President Mahmoud Abbas urging him and other PA leaders to respond to the escalation of attacks on the Christian house, including theft and looting of the monastery property, broken glass and the throwing of stones. “Someone wants to send us away,” wrote Sister Ibraxia to Abbas, “but we will not flee.” Added to complications, and as increasingly happens to other monasteries, such as a 5th century monastery in Turkey, a Muslim family has, according to local sources, “arbitrarily” claimed the monastery’s land. Pakistan: Asia Bibi, a Christian mother on death row since June 2009 for allegedly blaspheming Islam’s prophet Muhammad, may have to wait another two years before the appeal against her blasphemy conviction is heard. In November 2010, she was sentenced to death. The chairman of the Human Liberation Commission in Pakistan has been lobbying the country’s chief justice for Asia’s appeal to be heard as soon as possible but has received no response. Also, a Christian couple was arrested for allegedly sending blasphemous text messages to a Muslim cleric in Gojra, where a week earlier a young Christian man was sentenced to life in prison on the same charge. Shafqat Masih, 43, and his wife Shagufta, 40, who have four children between the ages of 5 and 11, were taken into custody on a complaint by Muslim cleric Rana Muhammad Ejaz, who alleged that he had received blasphemous text messages from Masih. Gojra City police registered the case under Section 295-C of Pakistan’s widely condemned “blasphemy laws” against defaming Islam’s prophet, Muhammad. Conviction is punishable by death or life in prison (in Pakistan, actually 25 years). Iran: Mostafa Bordbar, a Muslim convert to Christianity who, along with several other Christians, was arrested in December 2012 while celebrating Christmas, was tried in Tehran’s Revolutionary Court. He is one of several Christian prisoners currently being held for their faith in ward 350 of Evin prison. According to Mohabat News, the court registered the charges against him as “illegal gathering and participating in a house church.” If found guilty, he can be sentenced to anywhere from two to ten years in prison. In 2007, he was arrested for converting to Christianity and participating in a house church. His interrogator at the time charged him with “apostasy,” a charge still on his record. Iraq: Kidnapped on May 27, the body of Salem Dawood Coca, a Christian, was found inside the truck he was driving when he was abducted. According to the Assyrian International News Agency [AINA], “The truck was booby trapped with explosives, and it is believed that he was forced to carry out a suicide bombing, but refused to do so. The kidnappers had contacted Mr. Coca’s family but had not demanded a ransom and described him as a ‘Christian infidel. '” Mr. Coca leaves behind a wife and several children. 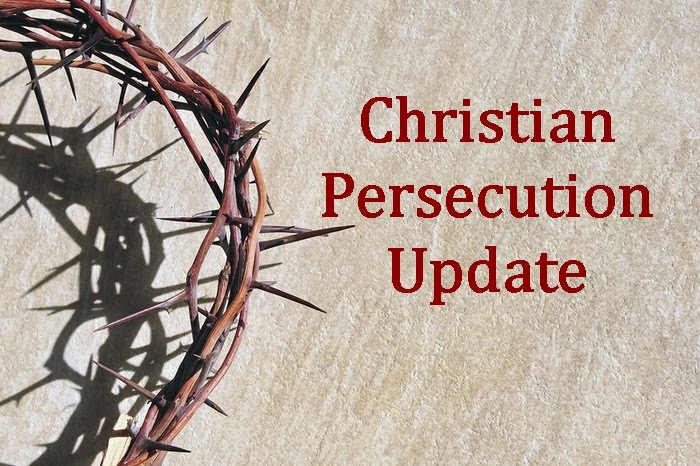 Pakistan: Farhad Masih, a 16-year-old Christian boy, was arrested and beaten on the accusation that he was involved with a Muslim girl, a relationship forbidden in Islam. A Muslim mob also tried to burn and loot his family’s house. Local Muslim leaders have made several despotic stipulations, including that the boy must either convert to Islam or die. The same type of hostility occurred earlier in April 2013, when three Christian youth were arrested, tortured, and killed by Pakistani police for allegedly having “love affairs” with Muslim girls. Syria: According to AINA, the “Assyrian village of Tel Hormizd was attacked on Saturday, July 27 at about midnight. Fifty Arab Muslims on motorcycles entered the village and began a shooting rampage. According to residents, the Muslims fired indiscriminately, wounding two Assyrians, one of whom is still in hospital.” Also, al-Qaeda linked rebel fighters abducted Fr. Paolo Dall’Oglio, a prominent Italian Jesuit priest—who ironically had reportedly championed the uprising against Bashar al-Assad—most likely for ransom or beheading. · At least 28 were killed in a series of explosions throughout a Christian neighborhood in the Muslim-majority northern city of Kano. The attacks happened in the evening while people were out “to enjoy the area’s nightlife.” The same neighborhood had been targeted in the past by Boko Haram, which is responsible for killing more than 2,000 people. Although several nations have designated the group a terrorist organization, the current U.S. government refuses to do so, even as several American policymakers push for the designation. · Islamic gunmen, as has become increasingly common, raided the Christian village of Dinu, in the southern Plateau state, before church services on an early Sunday morning, and slaughtered six Christians. A month earlier, Muslim Fulani herdsmen had shot another Christian to death in a nearby village and destroyed the churches of four villages. Raymond Ibrahim is author of Crucified Again: Exposing Islam’s New War in Christians (published by Regnery in cooperation with Gatestone Institute, April 2013). He is a Shillman Fellow at the David Horowitz Freedom Center and an associate fellow at the Middle East Forum.